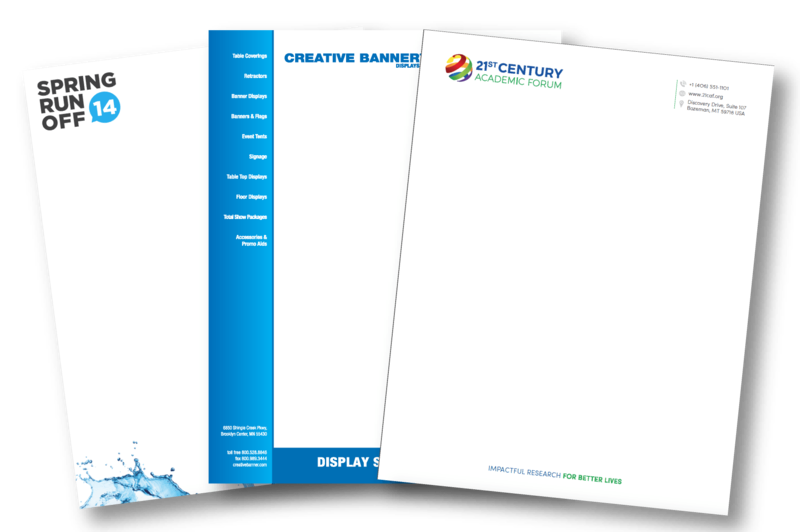 Every time you send a message on printed letterhead you are broadcasting who you are. What does your letterhead say about you? Make sure you present yourself adequately to support your branding efforts. There are so many things you use letterhead for it is important that you are well represented. Key elements to include on your letterhead are your logo, phone number, address, and website address. It is also appropriate to include a tag line or slogan that distinguishes your organization from the competition. Give it a look and a style that represents your business. Use similar colors, images, and text styles so that people aren’t confused about who is contacting them. Use Different Style Letterhead Printing for Different Messages It is also nice to have a couple different styles of letterhead. Use a professional piece for important information that requires a sophisticated look. Have a second with a more casual design for a more informal correspondence. Having a variety of styles let's you set a better tone for the information that you are sending. For example if you are sending a friendly thank you for your recent purchase letter a more casual piece of letterhead, might be appropriate, However, if your message is an estimate or quote you may select a more formal look. Whatever the message on the paper says, makes sure your printed letterhead reflects that message and ultimately the values that your business is working to convey. Taking the time and money to have letterhead that represents your organization has a huge impact on building your branding and establishing yourself as a professional company. Create a customisable 8.5x11 or 11x17 sell sheet with our online photo design tool. Or use a downloadable template with guides and size specifications. We have been using Printing Center for year & have always received the product I expect and it is always great quality. Quality paper. Color match was excellent staff was very helpful. Materials arrived on time. Letterhead was delivered on time as requested, however, they lost my envelopes and they were 4 days late which complicated a marketing mailing project. Terrific quality- excellent customer service- I am a repeat buyer!